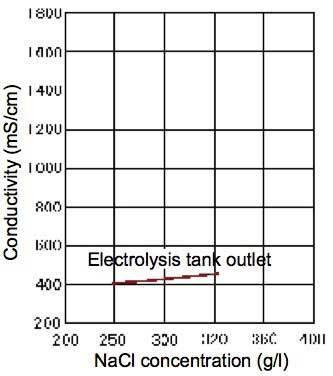 Yokogawa process solution analyzers deliver stable, long-term measurements under the harsh conditions present in electrolysis plants. The ISC202 Inductive Conductivity Meter is specially designed to detect the concentrations of hydrochloric acid, sulfuric acid, and caustic soda. 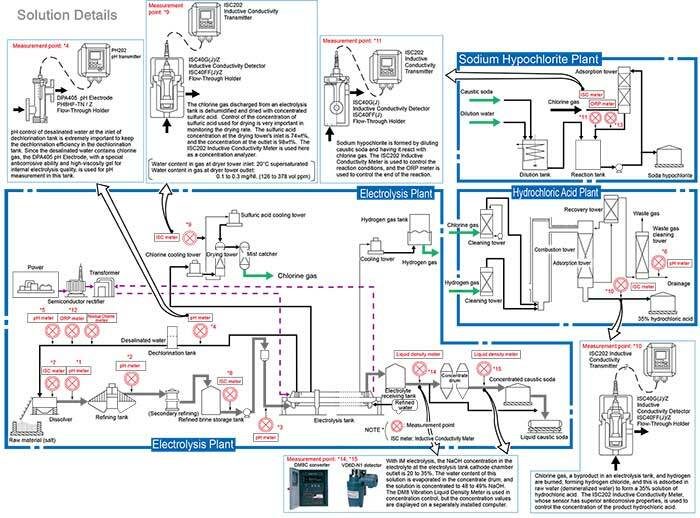 The DPA405 pH Electrode for Chemical Processes can measure pH in a wide variety of processes. 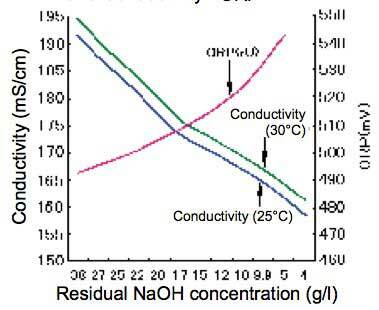 Each graph shows a correlation between concentration and conductivity at measurement points, the numbers of which correspond to the ones in the previous page. 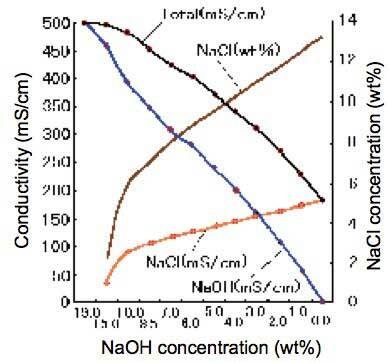 The ISC inductive conductivity meter's range can be specified, thereby allowing high-resolution measurements in the target concentration range. 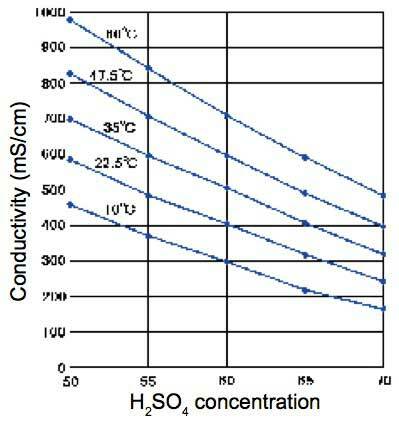 The correlation between concentration and conductivity is largely affected by solution temperature. 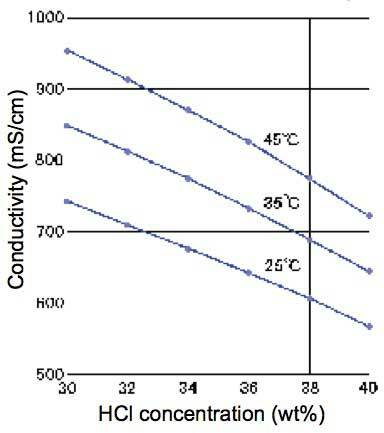 The ISC inductive conductivity meter provides automatic temperature compensation using the build-in temperature sensor. NR800 is a FT-NIR analyzer offering unparalleled reliability and stability for a wide range of process and laboratory applications from Yokogawa. Its high wavelength resolution, outstanding accuracy and wide scanning range deliver a new level of process information, opening up new possibilities. Direct transfer of a calibration model from the laboratory to the process, or among processes, is also possible. And of course, ease of operation and user-friendly software are key design concepts of the NR800.